Eden Prairie, MN, June 13, 2017 – Alpha Video announced today that Clearwater Casino Resort in Suquamish, Washington, has deployed the CasinoVIEW module to their existing CastNET digital signage management system. CastNET is the leading digital signage solution for the gaming industry and provided signage and wayfinding solutions throughout Clearwater’s hotel and casino. 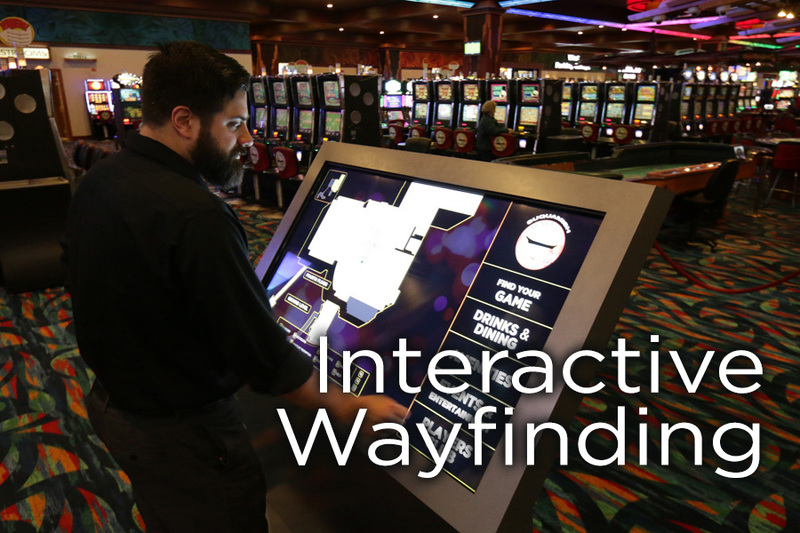 Alpha Video partnered with Clearwater Casino Resort to design and integrate an enterprise-level wayfinding system controlled from their current CastNET digital signage system. CastNET’s TouchView product displays casino maps on touchscreens that zoom and scroll along with animated walking paths to highlight where the guest would like to go. This digital “you are here” feature, and the ability to show guests where to find their favorite games, amenities, and restaurants has been deployed at four kiosks: two on the casino floor, one in the hotel lobby, and one in the resort lobby. In addition, interactive menu boards for all six of the property’s restaurants are included in the wayfinding system. Guests can check out food and beverage options for all restaurants as well as browse event and entertainment information including prices, dates, times, and locations. In addition to the wayfinding kiosks, Alpha Video integrated video walls and displays around the property to promote restaurants, events, and general marketing messaging to better inform and engage casino guests.